Buy me some pinot and Cracker Jack! 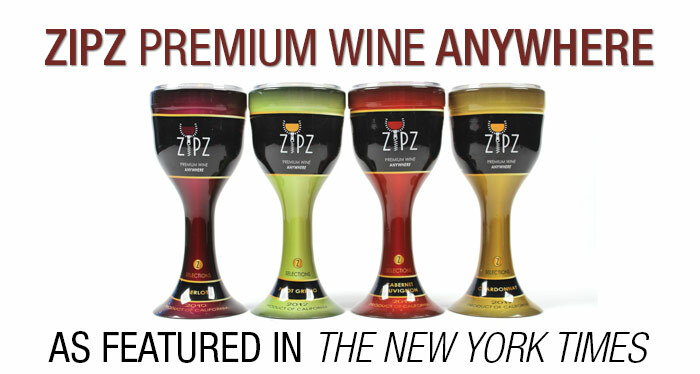 Pinot grigio, California merlot, cabernet sauvignon and chardonnay are now sold in sealed single-serve plastic goblets. Next month, Zipz, the company behind this new format, will introduce them at baseball stadiums, including Citi Field (hear that, Mets fans? ), and at wine shops. A couple of entrepreneurs in Miami have also entered the single-serve fray with the Vini, which sells California wines in 187-milliliter (quarter-bottle or quartino) glass vials with screw caps. Bottled in Sonoma, they are far more elegant than the plastic goblets, though you need a straw or a glass for drinking.